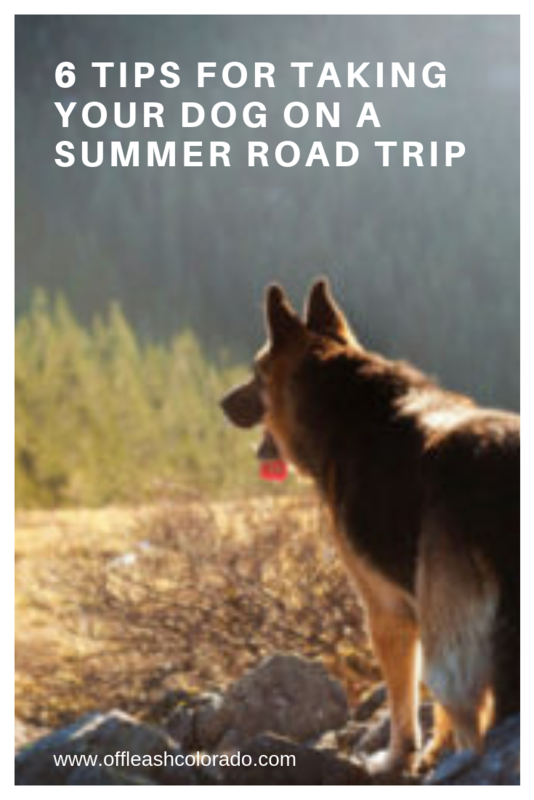 Going on vacation together with your canine companion is an exciting time for both you and your dog. But if you’re taking a road trip, the long travel time can really take its toll on poor Fido. It pays to come prepared and follow best practices when travelling with your dog for hours in a car. This ensures you keep your dog safe and happy while you all enjoy the ride. Here are 6 things to consider as you pack up the car and head out on vacation this summer. 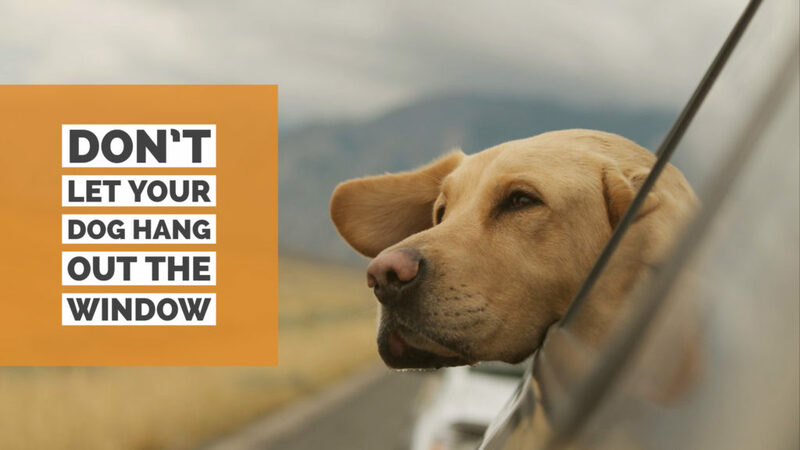 Although our dogs love nothing more than the feeling of the wind in their face, letting your dog hang out the window is dangerous. Not only can debris and objects potentially hit your dog, there have been many cases of dogs falling out the window while going high speed. To ensure your dog’s safety, only open the window a crack and while they’re secured with a seatbelt. During a long car journey, it can be easy to forget just how long you’ve been traveling. But in a hot car your dog will need plenty of opportunity to rehydrate. Give them the chance to quench their thirst regularly by carrying a big bottle of water and a collapsible or non-spill bowl. 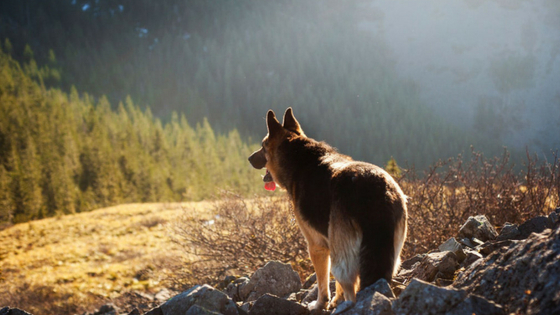 Unlike at home, your dog may not have their usual way to tell you when they need to relieve themselves. And with all that hydration, they may need a toilet break more frequently. Be sure to stop for toilet breaks every hour or two. Not just so they can relieve themselves, but so they can stretch their legs and decompress. Don’t forget to pick up after your dog as usual. Your dog should never be allowed to roam around your car freely. This can be a dangerous distraction for the driver and a potential disaster if the window’s wide open. Always ensure your dog is secure, either within a crate or with a doggy seatbelt. A kennel is the safest way to transport your dog in the car. You’ll also have the kennel available wherever you may go and stay the night. That way Fido is not left to wander the hotel room alone if you do have to stay there. If a kennel is an issue due to space, then the seatbelt is a great option. We recommend getting a harness that fits your dog properly. It’s a better option then just using a collar and leash as sudden stops will fling your dog around by the neck. When it comes down to it, if that is your only option it’s better than having nothing at all. Car journeys can be boring for your dog. Ideally, you’ll have worn them out with a long walk before the ride, but they may not sleep the whole way through. To keep them out of mischief, provide a few toys and chews such as large bone, something that is big enough for your dog to chew on so it’s not a choking hazard. This will help keep them occupied in between breaks. In the summer our vehicles can become a hotbox. 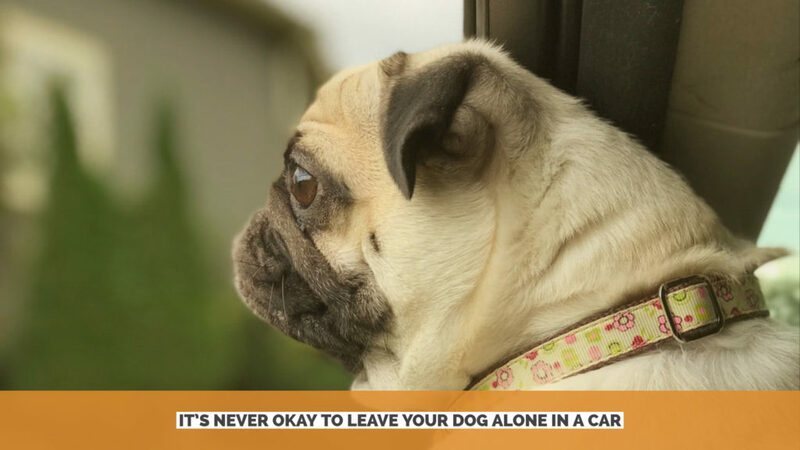 It’s never okay to leave your dog alone in a car, even if you leave the window open a crack. Temperatures can quickly soar to dangerous highs and leave your dog in a desperate state. If you need your own toilet break, take it in turns and have a family member stay with them while you freshen up. Don’t forget that in 2017, a new law was signed in Colorado that grants people immunity if they break a dog out of a hot car, given that specific rules and conditions are followed. Traveling with your pet can be challenging, but if you plan accordingly the trip can run smoothly and safely. If you’re taking a longer road trip across beautiful Colorado, pick your places to stop ahead of time. This will save time and be less stressful on you and your dog. As an alternative, you can always schedule your dog for a 2-week Board & Train with us so you can enjoy quality time with your family, have peace of mind your dog is being properly looked after, and come back to a well-trained pooch. Would you like to get regular dog training tips from our qualified trainers? Enter your email below to get our monthly newsletter and we’ll send them straight to your inbox.